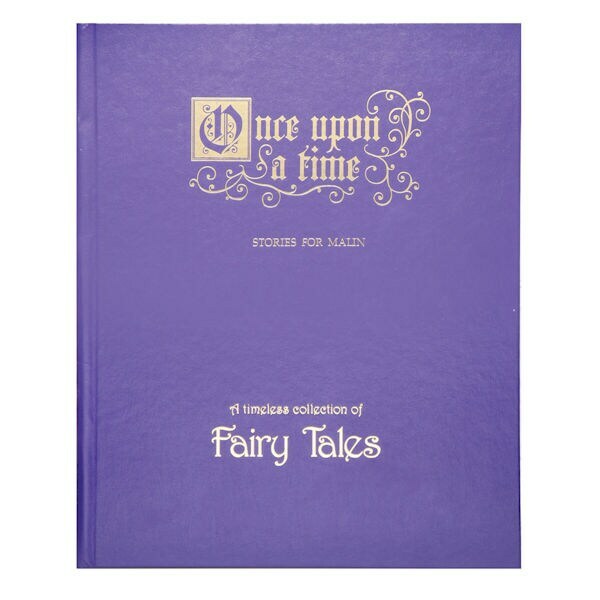 Twelve timeless fairy tales include something special in each full-color illustration: the name of a child you know. Kids love finding their names; parents and grandparents enjoy helping. Includes "Little Red Riding Hood," "The Princess and the Pea," and more favorites by Hans Christian Andersen and the Brothers Grimm. Specify name (up to 12 characters) and message for the title page (2 lines, up to 40 characters per line). Deluxe edition is oversized, 12" x 15". Allow 3 weeks. No rush delivery or gift box. Made in the UK.